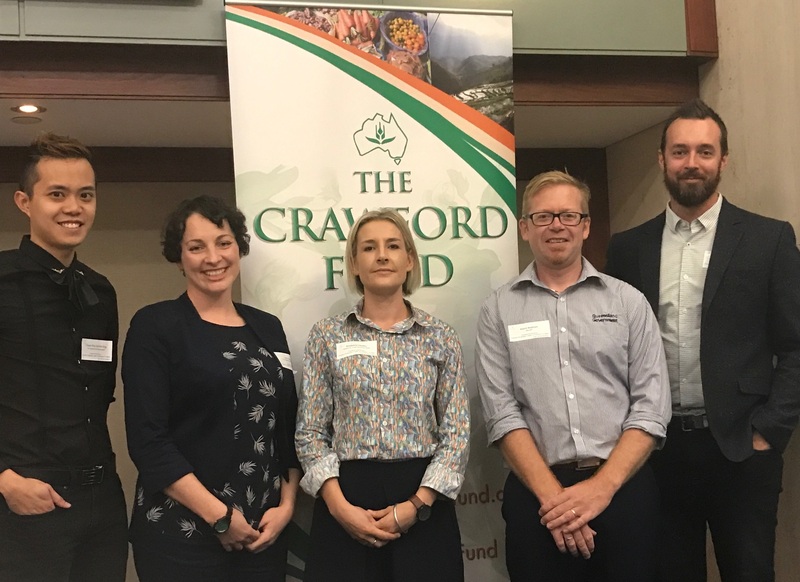 The Crawford Fund Queensland Committee held its 2017 Forum and Networking Reception at Queensland’s Parliament House in Brisbane on Wednesday 15 February. 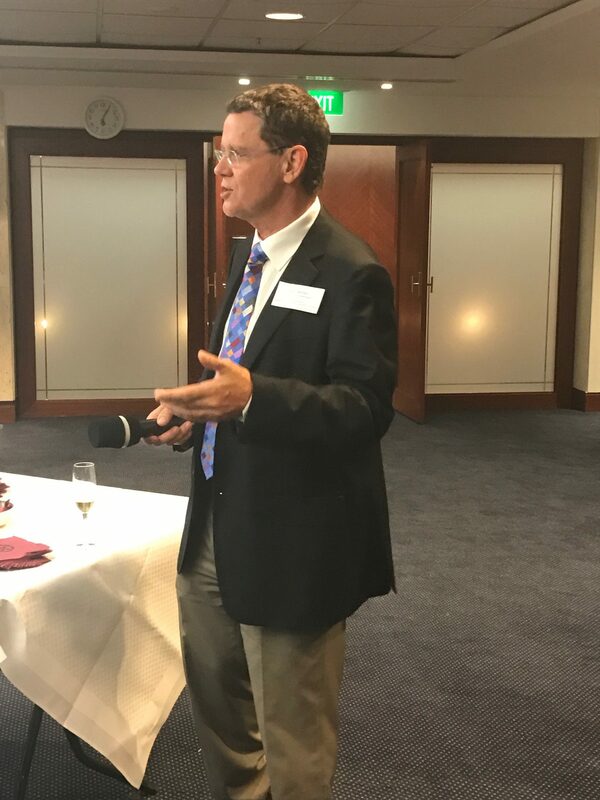 The ‘Doing Well by Doing Good’ event focussed on Queensland’s impacts and benefits in agricultural research. 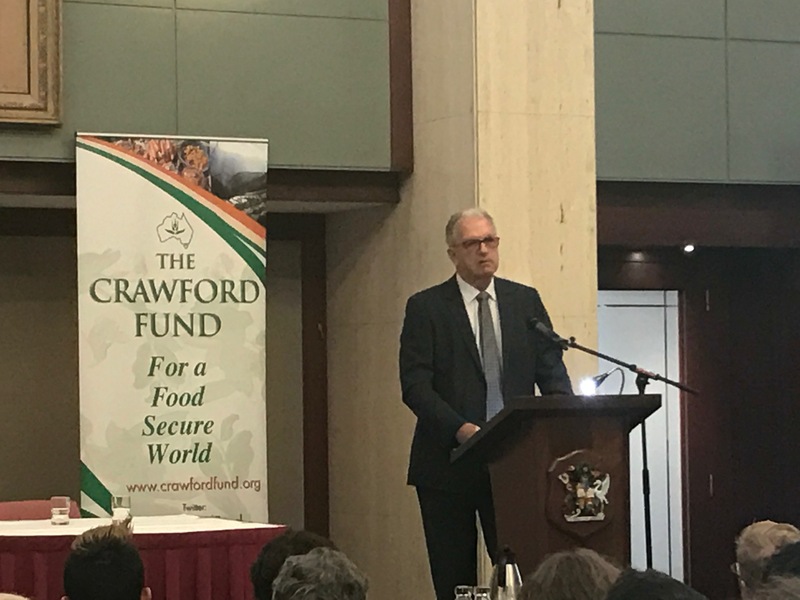 Its aim was to highlight the great work Queenslanders do in international agriculture, the benefits flowing back to Queensland’s agriculture and researchers, and its impact in developing countries. 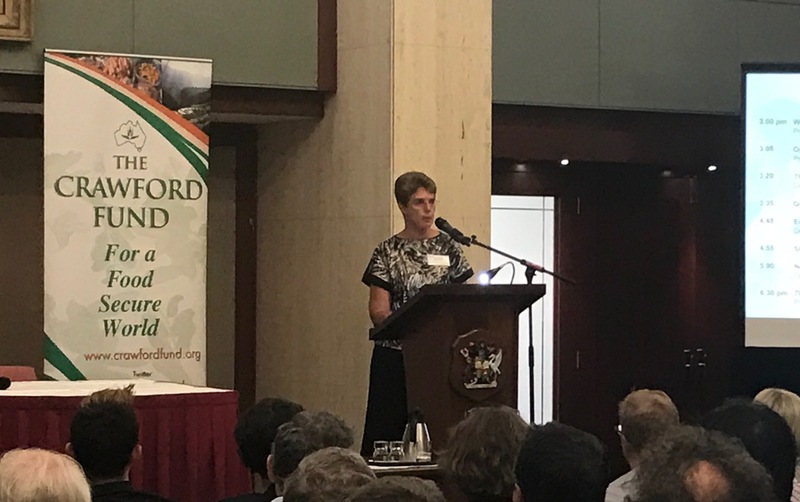 Guests were first welcomed by Professor Kaye Basford FTSE, Chair of the Crawford Fund Queensland Committee and Acting Head, School of Biomedical Sciences at The University of Queensland. 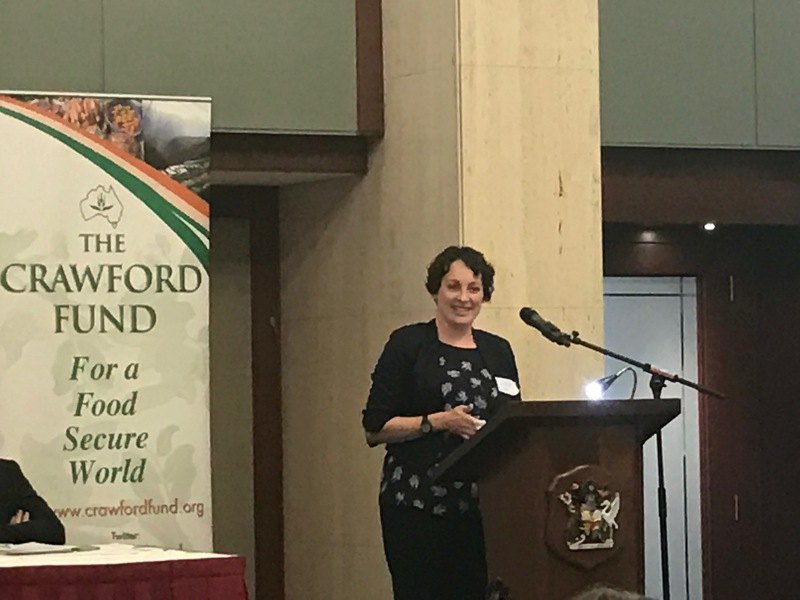 The event was then officially opened by Queensland’s new Chief Scientist, Professor Suzanne Miller, who spoke on ‘Queensland Science for Food Security’. 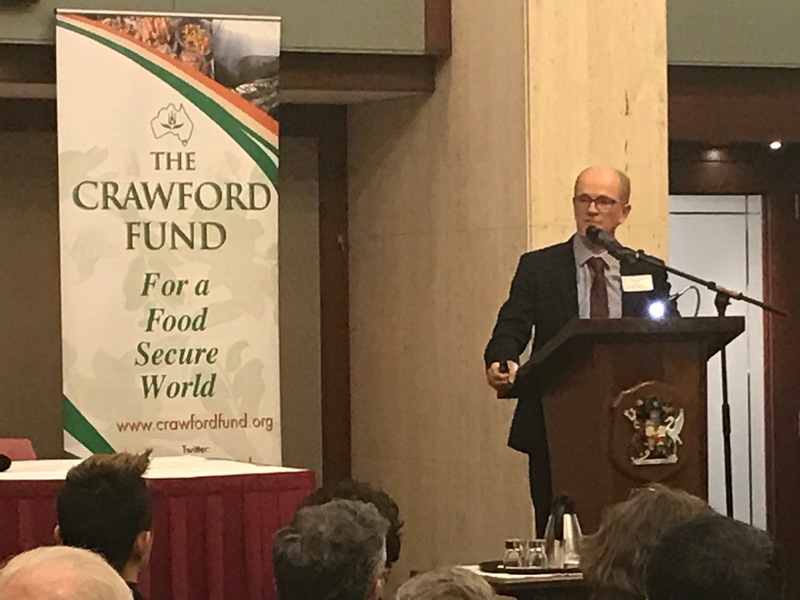 Dr Peter Horne, General Manger, Country Programs, Australian Centre for International Agricultural Research (ACIAR), gave a thorough presentation based on the importance of ‘Queensland’s Research Expertise: Looking Back, Looking Forward’. 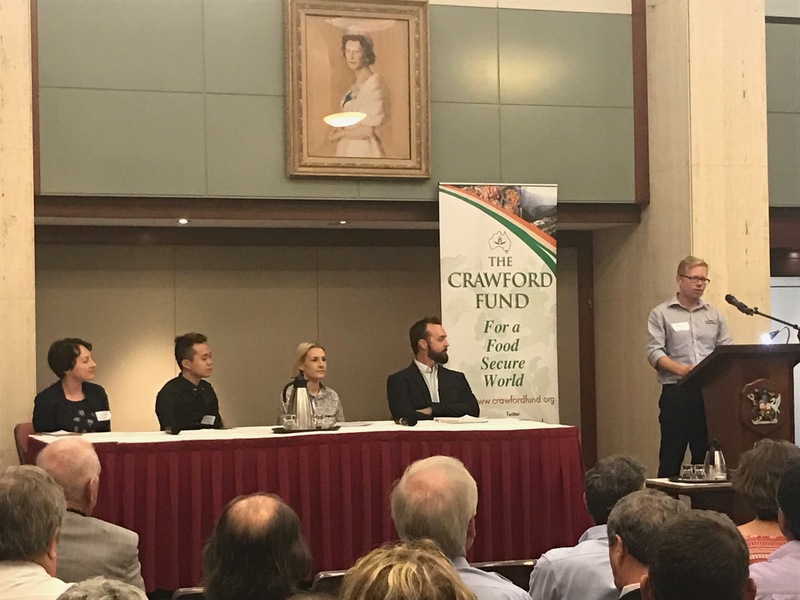 These presentations were followed by a discussion panel of young Queensland agricultural scientists, moderated by Dr Lee Hickey, Member of the Crawford Fund Queensland Committee and Senior Research Fellow, QAAFI. Four Queensland researchers presented on their international work and its impacts on themselves both professionally and personally. Click on the links available below to access the presentation slides from our panelists. Agricultural research for development: A spotlight on antimicrobial resistance. 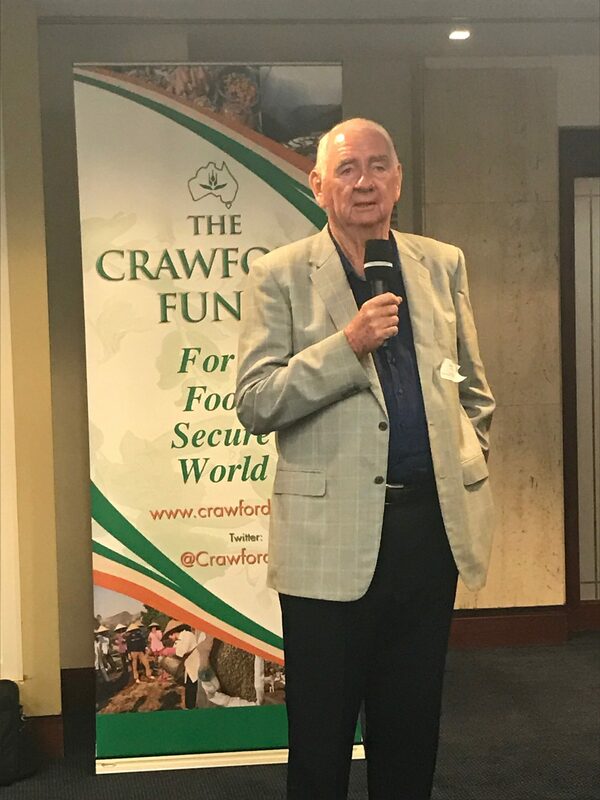 Finally, Dr Bruce Pengelly, Coordinator of the Crawford Fund Queensland Committee, spoke about the importance of engagement—with researchers, industry, government, and most importantly, with young agricultural scientists keen on a career in international research and development in agriculture. 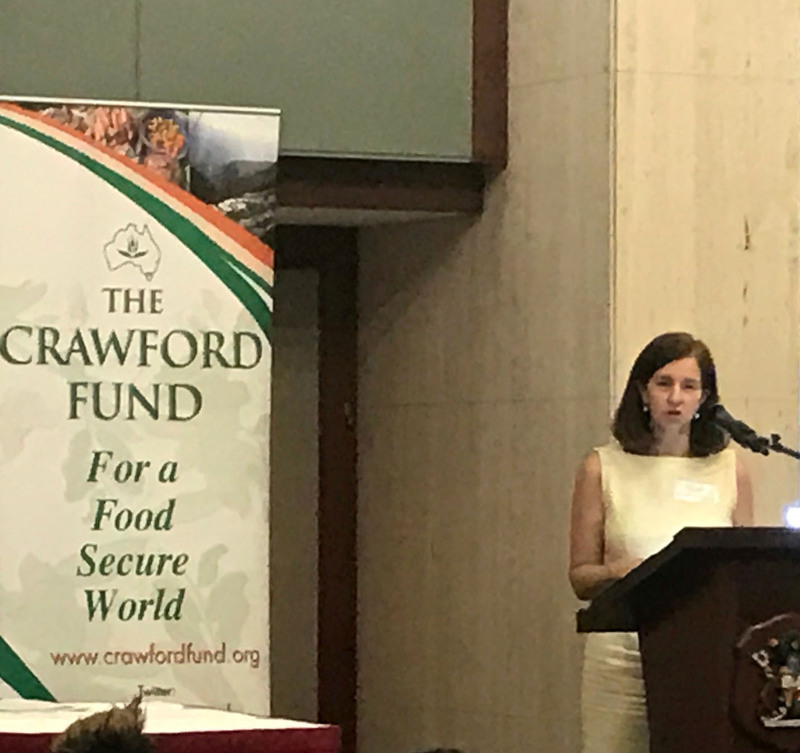 “While our training of developing country scientists relies on our partnerships with Queensland scientists and institutions, we also have a strong project focus to encourage young Queenslanders in their studies, careers and volunteering in agriculture for development. I must report on the tremendous cadre of young people we have in our alumni now and the wonderful presentations four of them gave last week,” said Dr Pengelly. 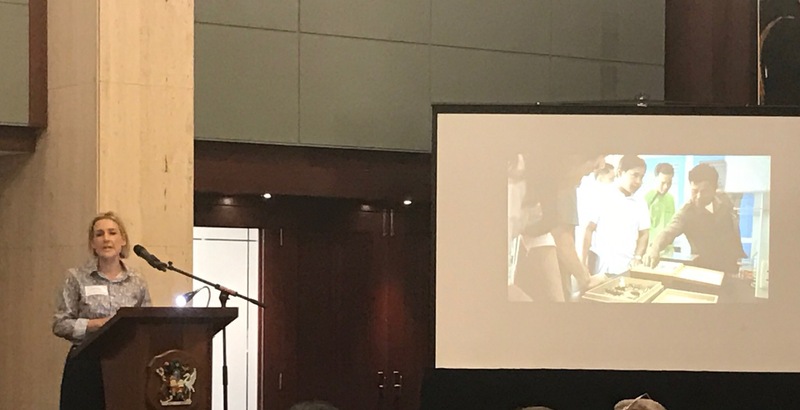 “The feedback we have received since Wednesday is that the afternoon was an outstanding success and provided the opportunity to explain the benefits to individual scientists, to Queensland industries and to developing countries from our own training projects and through aid-funded Federal projects carried out with Queenslanders,” said Dr Pengelly. The Hon Mike Ahern AO, former Premier of Queensland and Chair of the Crawford Fund Queensland Committee welcomed guests to the networking reception following the forum, and Professor Neal Menzies, Head of School and Dean of Agriculture, School of Agriculture and Food Sciences, The University of Queensland gave a closing address. Professor Basford launched the Queensland International Travel Awards Program and Tertiary Student Awards at the forum. More information about these awards, including how to apply, can be found here.